Convert EML to JPEG automatically. 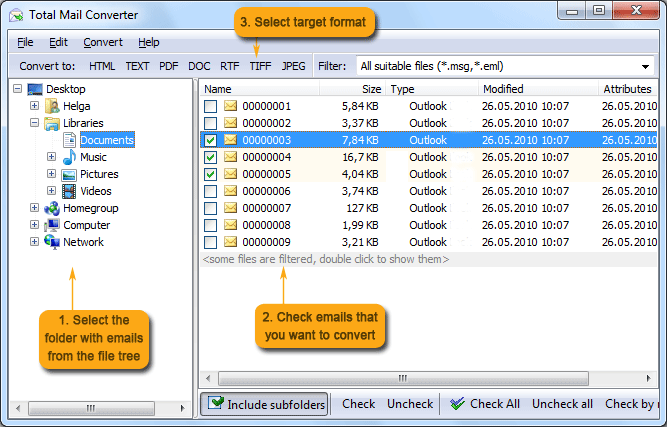 You are here: CoolUtils > Total Mail Converter > Convert EML to JPEG automatically. How to Convert EML to JPEG? EML, just like MSG, is a file format by Microsoft. 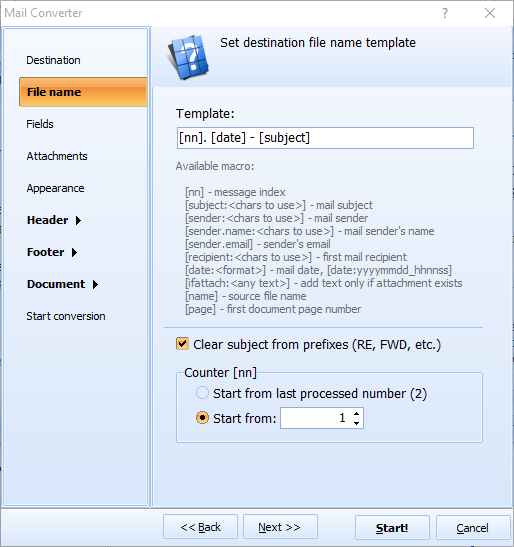 EML is stands for E-mail and is used by Outlook Express for storing and forwarding letters. EML format is compatible with almost all applications. 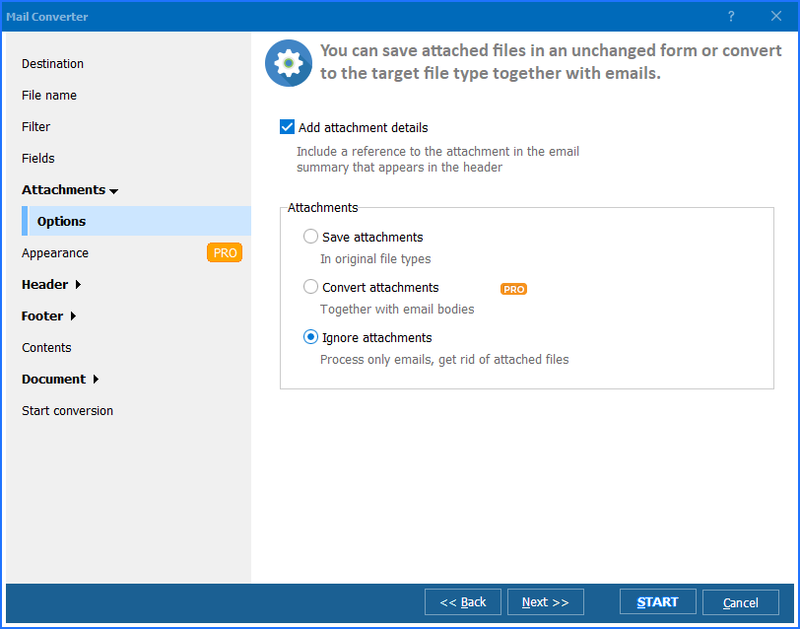 As such, these files can be easily opened with major e-mail clients, from Microsoft Outlook, Outlook Express and Microsoft Entourage to Mozilla Thunderbird, Apple Mail, The Bat! and IncrediMail. Moreover, EML files can be viewed in web browsers (Internet Explorer, Mozilla Firefox and Opera); all you need to do is rename the file extension to .MHT. Finally, EML files can be opened with Notepad, WordPad and other text editors. You might wonder, why should anyone want to convert EML to JPEG or any other format then? The answer is: sometimes it is easier to store hundreds of e-mails in one file rather. This is when email converter appears to be of great help. 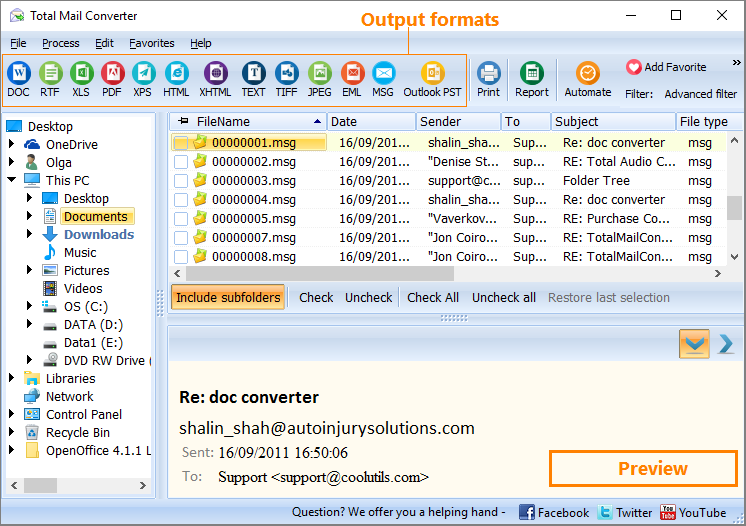 We suggest you try Total Mail Converter by CoolUtils to convert EML to JPEG in batch. Why in batch, you may ask. The answer is simple: batch conversion saves a lot of time and nerves. Simply imagine having hundreds of your letters converted in less than 5 clicks and only a couple of minutes! You can do that with EML JPEG converter by CoolUtils! Simply download and install the program, see it automatically integrate with your e-mail client, select the letters you wish to convert, choose target format and enjoy the no-stress conversion process! You will be able to master the program in no time regardless of your technical knowledge. For additional help, you can always refer to free online how-to articles and tutorials. 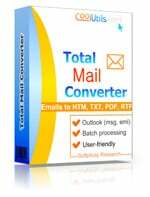 With Total Mail Converter you will be able to deal not only with EML files, but also with letters saved in MSG, and convert them into HTM, TXT, PDF, RTF, and more. 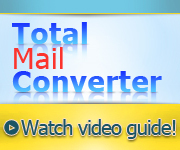 To try Total Mail Converter now for free, visit the official website of CoolUtils and download a trial version of the email converter. Use it for 30 days for free! Convert MSG to JPEG without any problems.